There’s nothing you can’t buy on the internet today, but garage doors are an investment for your home, so it is of great importance that you are careful when buying them online. Not only should you be careful in selecting which company you are dealing with, you also need to know exactly what you will be receiving and working with the right information. Be aware of overly cheap electric roller shutter doors – you don’t want to be regretting your purchase when the door fails from component failure! 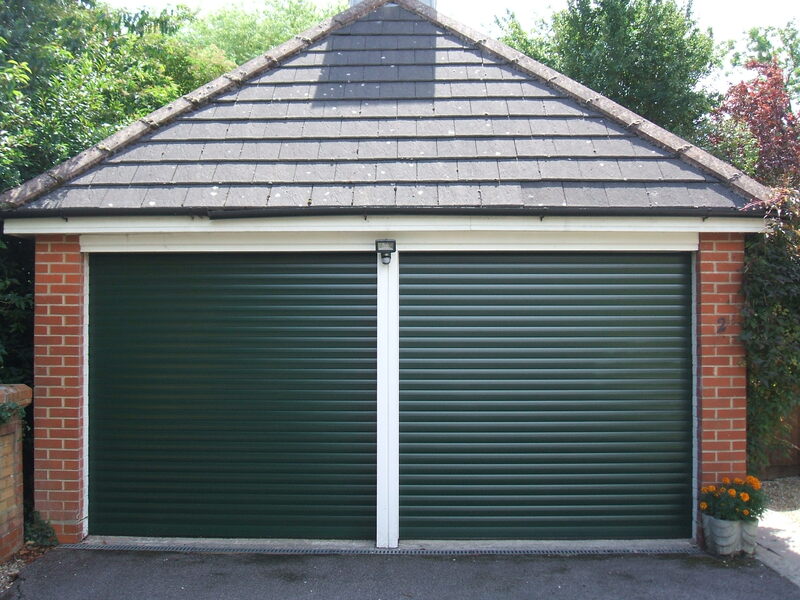 Roller shutter garage doors can all appear to be similar when looking at a photograph in a brochure or online, but it must be remembered that there are numerous small moving components that, if sold cheaply, have been constructed cheaply, meaning it will not long last at all. Make sure you know the reasons why a product may be being sold at a cheaper price so you are able to make an informed decision regarding the roller shutter’s price and components that are suitable for you. When dealing and buying from any website, ensure that you always check their address, and that one is actually there… if not, there must be something to hide! No address? Do not deal! This lack of identity should immediately be a warning to you, as a consumer, and make you question the trust this leaves you with the company. Who will your warranty be with, are they a certified dealer for the product you are buying? Many companies make huge claims about how long they have been trading, family firm for hundreds of years and so on but quite often it is just made up. Dig deeper and find out for sure. Watch out for eBay offers… they are never quite as they seem unless there is a specific offer for a unique branded product that is in stock and as described with a fixed price. 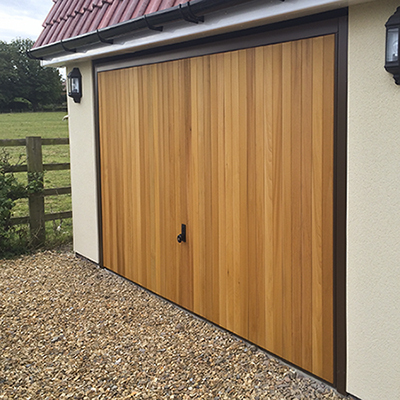 Very low priced timber garage doors are cheap for one reason only: the timber used is a low quality softwood with excessive knots and a high risk of splitting, meaning it warps and cracks apart quickly. If you ensure you are investing in a timber door that has had the necessary treatments applied to it and is a good quality species of timber, its durability against weathering and general operations will be considerably greater. A properly manufactured timber door will last as long as any other material if looked after and sourced correctly in the first place. Make sure you get the right sizes – many sizes do not necessarily refer to the sizes you think they do! Many garage doors have factory fitted sub frames and these may or may not be included in the ordering sizes. If you’re unsure, it is always best to ring the company and enquire for assistance – if this service is unavailable, it is again necessary to question their legitimacy and intentions. Does the person on the other end of the phone truly know their facts? Get the specification you need as some required parts may not be able to be retrofitted. If in doubt, call the company and discuss the specification to ensure it does what you need it to do with suitable emergency overrides and the like included. Getting the right product is one thing but getting the right accessories to go with it and make it suitable for the use and environment is another. Whenever possible, always pay for a factory finishing on timber garage and pedestrian doors as it will be far cheaper than trying to paint or stain the timber door yourself, as well as it giving a better warranty in most cases. 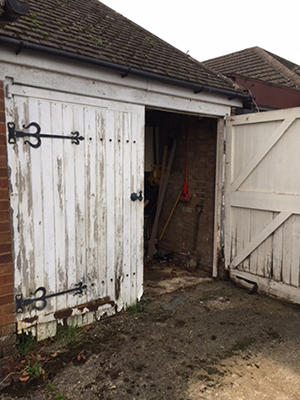 After all, you don’t want your garage door to end up looking like this!